We understand your inner fear and know well on how to address an answer to your uncountable number of hidden doubts. Apart from impeccable dental service, you will get requisite patient care that will make you comfortable all the time.To make sure, your comfort is not compromised by any means, we evaluate our work process on continuous basis. 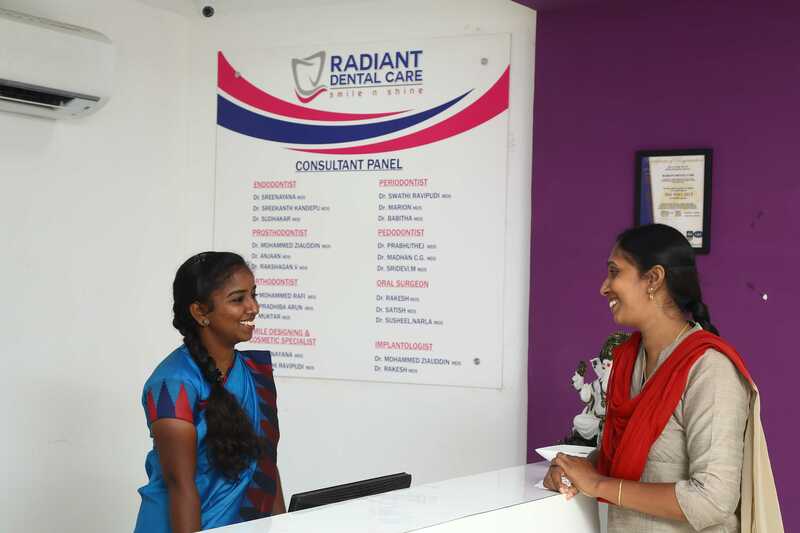 So, be assured about your overall health safety while going through any process at Radiant Dental care. The complete state-of-the-art infrastructure has been designed to provide you the desired level of comfort. Others supporting staffs are well-behaved and know how to guide you through the process as per doctor’s advice. Over the phone also, our doctors can assist you on the post implant complicacies thereby enabling you to lead a stress-free life always.